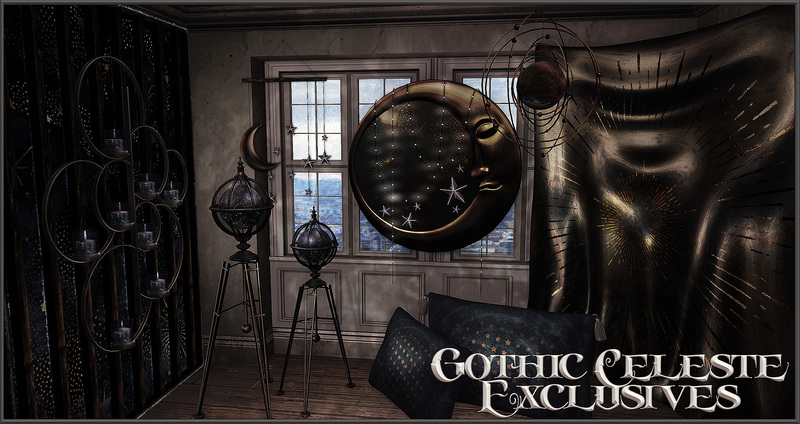 Out now for Epiphany: A gorgeous celestial set! Look up to the stars, my friends, for something truly astonishing has arrived! 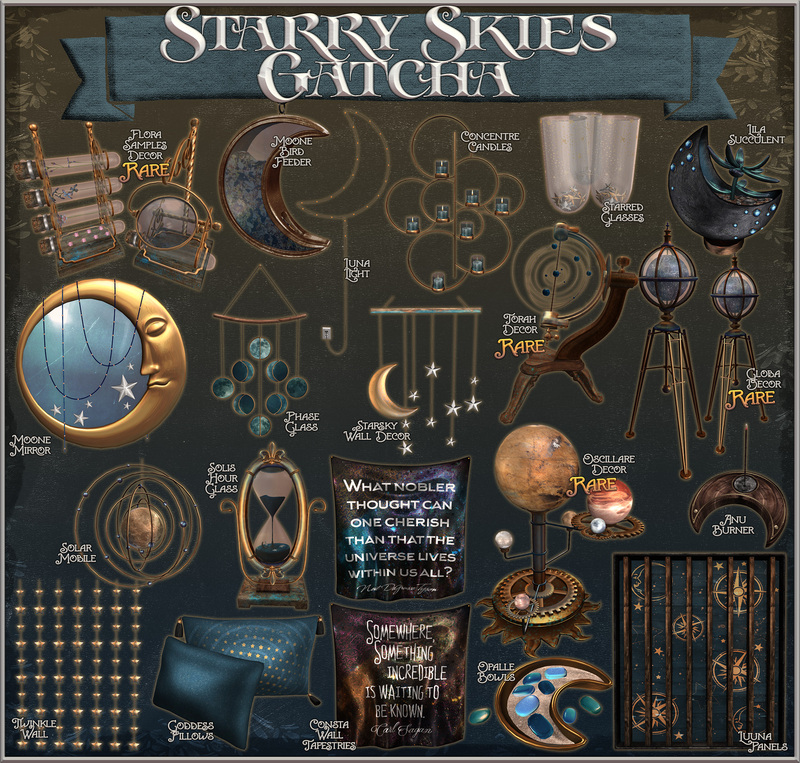 The Starry Skies Gatcha presents an astronomical new collection to tease and tantalize the senses. 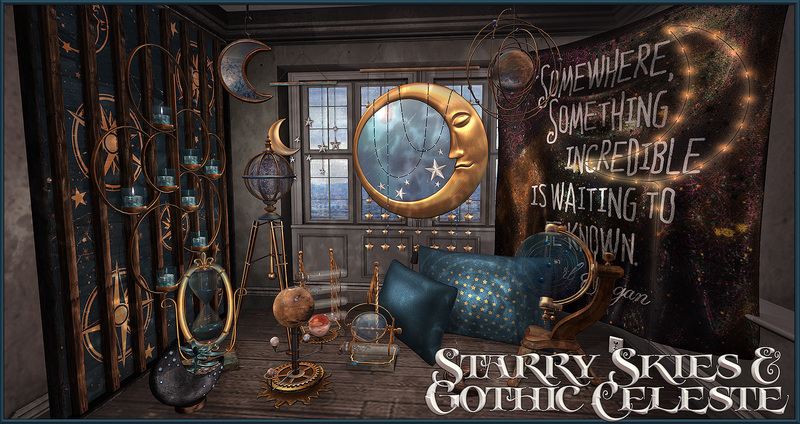 Never before has there been such a splendid arrangement of decorative trinkets so finely crafted with a love for the stars and the skies and with a deep yearning to simply look upwards. Delight yourself and your guests with the rare and beautiful Flora Samples, Torah, Globa and Oscillare Decor items, each with it’s own unique and special purpose. Intrigue those around you with the Moone Mirror or Solis Hour Glass, the Opalle Bowls, or the Lila Succulent. Illuminate the darkness with the Luna Light or Concentre Candles. You cannot go wrong with some scents either and what better item to fascilitate that need than the Anu Burner. Truly there is something for every taste out there. Why, even the dreaming layabout! Rest easy with the Goddess Pillows. 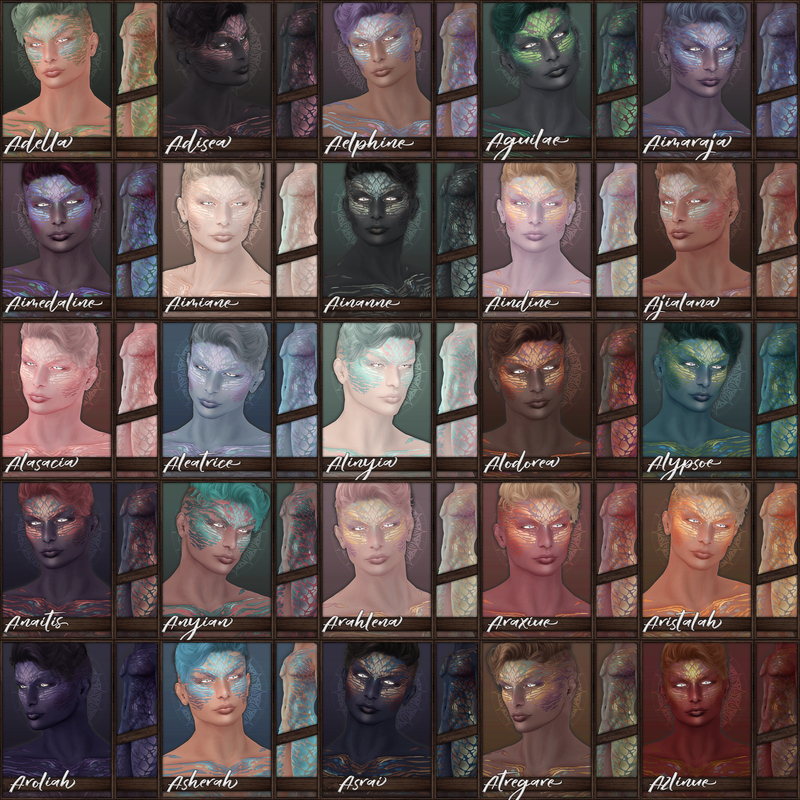 Gaze inquisitvely at the thought-provoking Consta Wall Tapestries. Or treat yourself to the mesmermizing Twinkle Wall and Luuna Panels. All wonderful, all yours to enjoy when you play the Starry Skies Gatcha! THE CONSTA TAPESTRIES, GODDESS PILLOWS, LUNALIGHTS, OPALLE BOWLS, AND STARRED GLASSES ARE PACKAGED TOGETHER. THEY ARE WON IN A DUO PACK. 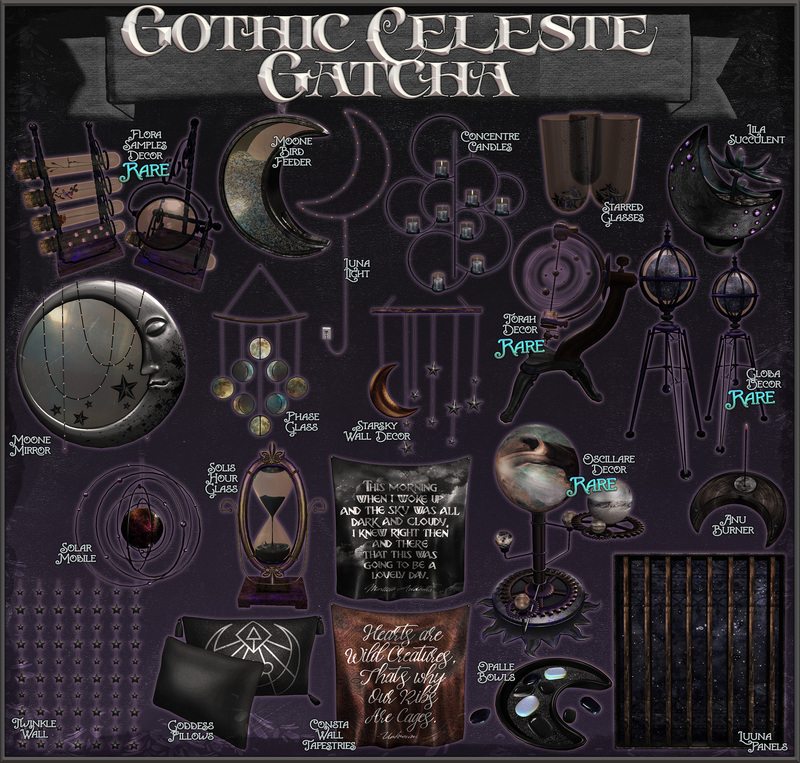 GOTHIC CELESTE AND STARRY SKIES ARE IN THE SAME MACHINE. You have a chance to win one or the other type, and both are in the same machine. The Exclusives for this round are a gorgeous set of heavenly light versions of a select few items from the Starry Skies gatcha in COPIABLE versions. 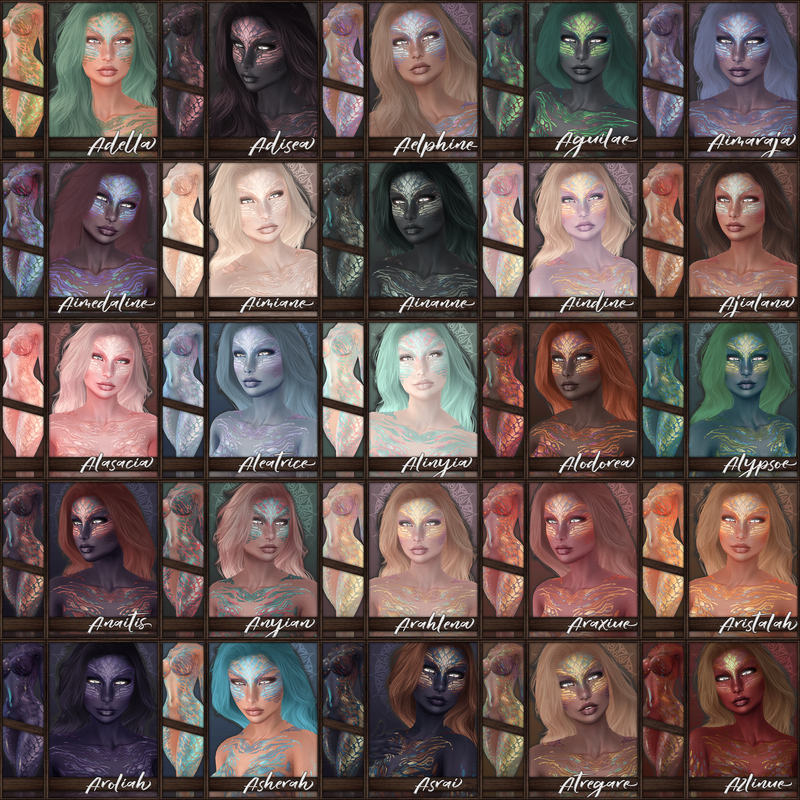 Another Exclusive are the Underworld versions, a gorgeously depraved dark version of selected items. ~ by Vae on July 17, 2017.